Are you interested in running for local office? 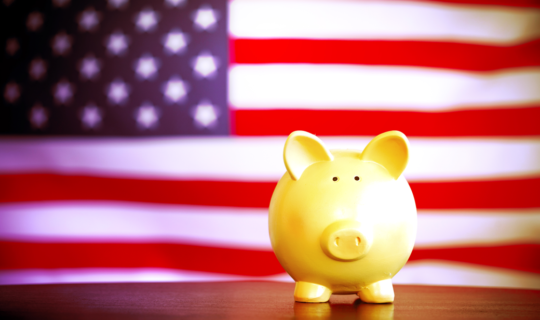 Do you have concerns about the costs of political campaigns? Do you have a plan in place for paying for the many expenses that are sure to arise? It’s been estimated that a campaign could cost as much as $2 per household in a given district. So even in a district of just 10,000 people, you could be looking at a substantial investment. For many candidates, getting organized is the most challenging part of running for office. They may know what they stand for; what they want to accomplish; and how to talk to people. But organizing a campaign can involve a lot of moving parts, people and dollars. You can’t expect to win a local political campaign if no one knows you’re running. This is why advertising is so important. There are many forms of advertising, including but not limited to, television spots, radio spots, direct mail, social media, and signs. While television advertising is big business during a presidential campaign, it’s not nearly as common when running for local office. Even though if you won’t be spending millions of dollars to show your face on television, you could still part with thousands as you attempt to spread the word about your candidacy. Depending on your approach, you may be able to do everything on your own. If not, maybe you can enlist the help of friends and family (all free of charge). However, there could come a time when you realize the need to hire additional help – a campaign manager, public relations expert, etc. This costs money, even if you’re only bringing on one part-time worker. You’ll be surprised at how much money you spend on supplies as your political campaign ramps up. How much will it cost to print hundreds (or thousands) of mail advertisements? How much will you spend on postage? What will it take to print out yard signs? These supplies could be essential to pushing your campaign forward. Do you find yourself traveling to local events? How about those in another part of the county or state? Even if you’re only driving around town, you’re sure to spend money on travel. Over the course of a campaign – which can easily drag on for several months (or longer) – travel costs can and will add up. Since you can’t always know which miscellaneous fees will move to the forefront, it’s a good idea to have money in your budget to deal with these expenses as they arise. At this point, you understand that it takes money to run a successful local political campaign. What you may not understand is how to pay for these expenses. In a perfect world, you’d have enough cash in the bank to fund your entire campaign. This would allow you to quickly and efficiently move forward, all without taking on any debt. While this may be ideal, it’s not reality for most candidates. It’s unsecured, so you don’t have to put up collateral against the loan. With these benefits, local political candidates may want to at least consider what a personal loan can do for them. It can be great fun to run a local political campaign, all with the idea that you will come out a winner in the end and make a difference in your community. It can also cost a lot of money to jumpstart, manage, and follow through with your campaign in a manner that puts you in position to succeed. Once you understand the many expenses you’ll face, you can decide if a personal loan (or other form of funding) makes sense.